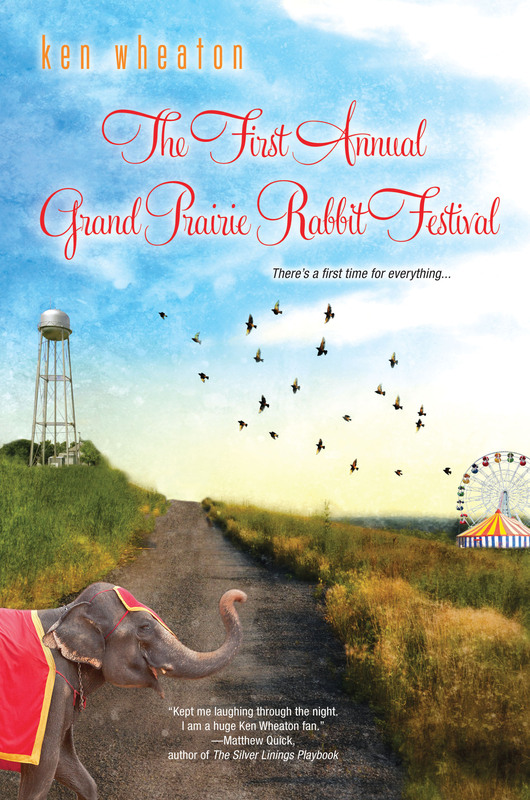 Hey everyone, The First Annual Grand Prairie Rabbit Festival drops in paperback today! Woohoo! UPDATE: Looks like both Amazon and B&N.com are holding back on the goods until you all completely buy out original stock. Get cracking! So what’s going on here? Kensington, the book’s publisher, is re-releasing (slightly) older books with new covers at lower price points to give them a second chance at life. A low-risk gamble, I guess, to see what you can make of your backlist. I can’t make sense out of royalty statements, but even if the book did as well as I think it did, that still means there are 299,985,000 Americans who haven’t read the book. So, lots of opportunity there. I loved the original cover, by Tim O’Brien (the guy what did The Hunger Games covers and that wonderfully creepy Chuck Brown portrait). But I’m digging this one, too, because it almost looks like Grand Prairie in that it has a water tower, a dirt road and some empty fields. The hills, though, not so much. If you haven’t read it or know people who haven’t read it, well here’s a fresh opportunity! Go for it. Read it. Buy it for a friend. It’s on sale! Suggest it for your book club. Share it on your vast Twitter and Facebook networks. Here are a bunch of nice things people said about it. Oh, and walk into your local book store and bug them people to carry it! Etc. Etc. Hell, rejoin the Facebook Group — since Facebook booted everyone from the original group during one of its 7,000 redesigns. By the way, you’ll note the headline of this post says Part 1. I’ll holler at you when Part 2 drops. Should be soon. And it should be different.